This Maine backyard wedding was held at the grooms parent's farm. And the bride worked on the farm. 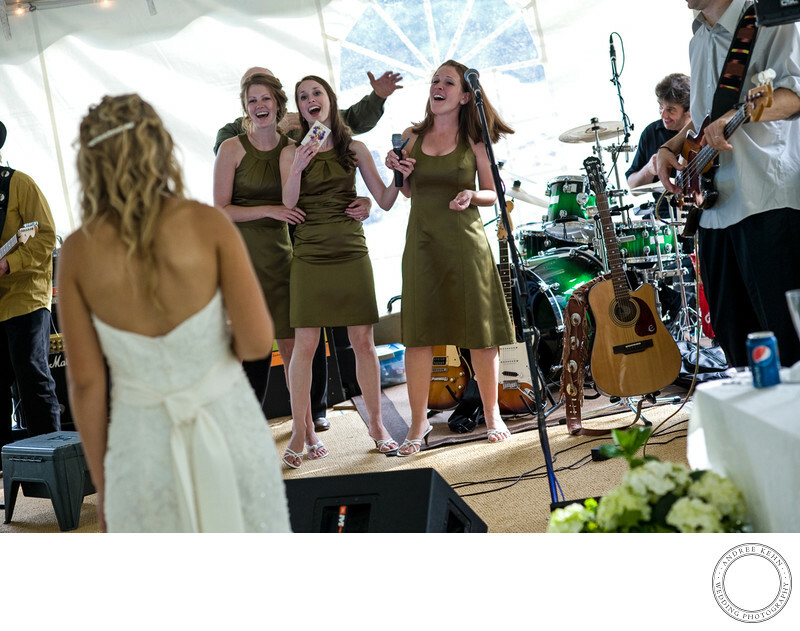 The bridesmaids got up and serenaded the bride during the reception in front of the live band who strummed along to their profession of wedding day love. 1/250; f/4.0; ISO 800; 85.0 mm.